Hello everyone! We wanted to do one last post for 2011 to celebrate the good year that it was. Here are our Top 11 of 2011 favorite posts. 1. 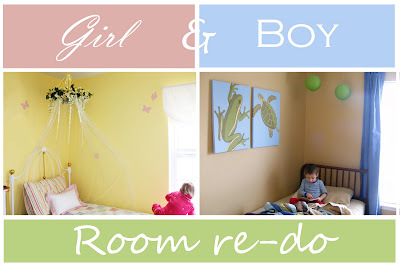 Girl and Boy Room re-dos. Ok, so there were many projects involved with these, and we can't pick just one that's our favorite. We love the tree mural and the frog and turtle paintings, the striped quilt and the canopy. The kids' rooms re-dos were a success! 3. The Spring Moss Wreath. Why is moss so enthralling? We love it! 4. The Lemon Baby Shoes. Could they get any cuter? 5. 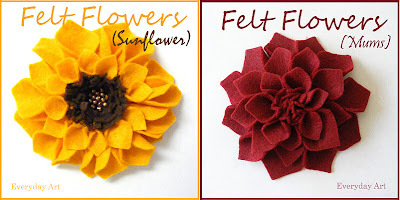 The Felt Flowers. These flowers turned out great and were fun to make. Emily made an adorable yarn wreath with them. 6. The Lemon Puff Pastry Dessert. Light and fluffy and unique and dazzling and fun. There aren't enough adjectives to describe this one. 7. The Strawberry Oat-Almond Bars. Can you believe these ones are actually healthy? 8. The Rustic Strawberry Cake. We can hardly wait until spring when the strawberries are on to make this again. 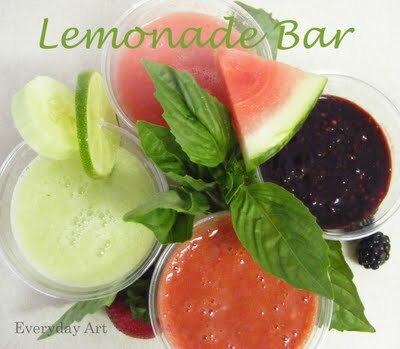 9.The Lemonade Bar. Such a fun party food for entertaining! 10. Honeybee Birthday Party. Such a cute party theme for such a cute girl! 11. Food Dye Fun. We had lots of fun this year--making forts, painting, and just plain having fun, but this one was particularly new and unique. It was a good year for us. We look forward to 2012 and forsee it to be another year filled with tasteful home projects, delicious food, and fun with the kids--a year where everyday is an opportunity to make a little art. 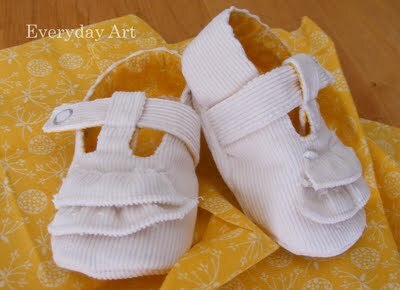 I love the Lemon Baby Shoes... is there a pattern available for them?